Today’s reading is sobering and disturbing as Jesus is falsely accused, mocked, beaten and ultimately crucified as criminal. Many of those who were quick to say “Lord save us!” are now chanting, “crucify him!” In this chapter Jesus dies, is buried and guards are placed at his tomb. What will happen next? 27:1 Early in the morning, all the chief priests and the elders of the people came to the decision to put Jesus to death.NIV At daybreak, the entire Sanhedrin (which included the chief priests and the elders) reached a decision. They had actually reached it before daybreak (26:66), but they had to make the decision at a meeting during the daytime in accordance with their law. Thus, early in the morning, they made it official that Jesus was worthy of death. The Jewish leaders had arrested Jesus on theological grounds—blasphemy; because this charge would be thrown out of a Roman court, however, they had to come up with a political reason for Jesus’ death. Their strategy was to show Jesus as a rebel who claimed to be a king and thus a threat to Caesar. The charge against Jesus in the Roman court was treason. This decided, they marched him off to the Roman governor of the region. 27:2 They bound him, led him away, and handed him over to Pilate the governor.NRSV Jesus was bound like a common criminal and sent off to Pilate. The Sanhedrin had to get permission from Pilate, the Roman governor, in order to carry out the death penalty. The Romans had taken away the Jews’ right to inflict capital punishment; so in order for Jesus to be condemned to death, he had to be sentenced by a Roman official. The Jewish leaders wanted Jesus executed on a cross, a method of death that they believed brought a curse from God (see Deuteronomy 21:23). They wanted the death to appear Roman-sponsored so that the crowds wouldn’t blame them. Pontius Pilate served as the Roman governor for the regions of Samaria and Judea from a.d. 26 to 36. Jerusalem was located in Judea. Pilate’s normal residence was in Caesarea on the Mediterranean Sea, but he happened to be in Jerusalem because of the Passover festival. With the large crowds that flocked to the city for that celebration, Pilate and his soldiers came to help keep the peace. He stayed in his headquarters, called the Praetorium. Pilate was a harsh governor who felt nothing but contempt for the Jews; they, in turn, felt the same about him. He seemed to take special pleasure in demonstrating his authority; for example, he had impounded money from the temple treasuries to build an aqueduct and had insulted the Jewish religion by bringing imperial images into the city. Pilate was not popular, but the religious leaders had no other way to get rid of Jesus than to go to him. So they imposed on him this early Friday morning, bringing a man whom they accused of treason against the hated Romans! Ironically, when Jesus, a Jew, eventually came before him for trial, Pilate found him innocent. Pilate could not find a single fault in Jesus, nor could he contrive one. 27:3-4 When Judas, who had betrayed him, saw that Jesus was condemned, he was seized with remorse and returned the thirty silver coins to the chief priests and the elders.NIV Judas, seized with remorse at having betrayed Jesus, went back to the chief priests and elders (26:14-16). Jesus had been condemned to die, and Judas realized, “I have sinned,” he said, “for I have betrayed innocent blood.”NIV Regretting that he had turned Jesus over to the religious leaders, Judas changed his mind, but it was too late. The religious leaders had Jesus where they wanted him, and they replied, “What is that to us? . . . That’s your responsibility.”NIV What a response from the religious leadership! The priests’ job was to teach people about God and act as intercessors for them, helping them turn from sin and find forgiveness. Judas returned to the priests, exclaiming that he had sinned. Rather than helping him find forgiveness, however, the priests answered, “That’s your responsibility.” Not only had they rejected the Messiah, they had also rejected their role as priests. Matthew placed Peter’s denial in the middle of the action of Jesus’ trial (26:69-75), and he did the same with Judas’s remorse and death. Thus, the stories of Peter and Judas provide a dramatic contrast to Jesus’ innocence and his majesty during his trial. We see in Peter the weakness of humanity and in Judas, the guilt and spiritual consequences of rejecting Christ. Both had fulfilled Jesus’ predictions (26:24 for Judas; 26:34 for Peter), yet they responded quite differently. Peter “wept bitterly,” repented, and was restored; Judas had remorse (while some versions say he “repented,” the meaning is regret, or changing his mind), but he “went and hanged himself” (27:5). Forgiveness was available from the Master, but Judas did not pursue it. Evidence that Judas’s response fell short of the full meaning of repentance was that he confessed to the wrong people (he should have confessed to Christ and to the other disciples), and he failed to redirect his life back to God. Judas, Jesus’ formal accuser, wanted to drop his charges, but the religious leaders refused to halt the trial. When he betrayed Jesus, perhaps Judas was trying to force Jesus’ hand to get him to lead a revolt against Rome. Whatever his reason, Judas changed his mind, but it was too late. Many of the plans we set into motion cannot be reversed. Think of the potential consequences before you launch into an action that you may later regret. 27:5 Throwing down the pieces of silver in the temple, he departed; and he went and hanged himself.NRSV Judas hurled the money onto the floor of the temple. The phrase “Judas went and hanged himself” is used nowhere else in the New Testament, but it occurs in 2 Samuel 17:23 of the Septuagint (the Greek translation of the Hebrew Old Testament), describing Ahithophel’s suicide. Acts 1:18 says that he fell and burst open. Evidently, the limb from which he was hanging broke, and the resulting fall split open his body. Peter had remorse, too, but he did not commit suicide over it. Rather, Peter trusted, waited, and was restored. But poor Judas, who had last heard Jesus call him “friend,” was so confused and frustrated that he could see no options. He was a double agent who had no place to call home and no friend to help. When tragedy strikes you with remorse, remember that God watches, cares, and brings life out of tragedy. Don’t imagine that killing yourself accomplishes anything. Don’t even think about it. Allow friends to help you through the worst part, and trust God to restore your life. 27:6-8 The chief priests picked up the coins and said, “It is against the law to put this into the treasury, since it is blood money.”NIV These chief priests felt no guilt in giving Judas money to betray an innocent man, but when Judas returned the money, the priests couldn’t accept it because it was wrong to accept blood money—payment for murder! True to character, they refused to break certain laws while overlooking their own gross sins as they planned the murder of an innocent man! Because they could not put the money into the temple treasury (it was considered “unclean” money), they had to decide what to do with it. No one cared about Judas; they were concerned about the money. So after conferring together, they used them to buy the potter’s field as a place to bury foreigners. For this reason that field has been called the Field of Blood to this day.NRSV Graveyards and tombs were considered by the Jews to be “unclean” places, so this appeared to be a perfect use for this “unclean” money. While Matthew reports that the leaders bought the field, the account in Acts says that Judas bought it (Acts 1:18). Because the priests bought it with Judas’ money, the field would have been regarded as belonging to Judas. This field may have been called the potter’s field for its abundance of clay soil. The place was known to Matthew’s readers, for he explained that it had its name to this day (see also Acts 1:19). 27:9-10 Then what was spoken by Jeremiah the prophet was fulfilled: “They took the thirty silver coins, the price set on him by the people of Israel, and they used them to buy the potter’s field, as the Lord commanded me.”NIV This prophecy is found specifically in Zechariah 11:12-13 but may also have been taken from Jeremiah 18:1-4; 19:1-13; or 32:6-15. In Old Testament times, Jeremiah was considered the collector of some of the prophets’ writings, and he is cited as one of the “major” prophets. The passage in Jeremiah 19:1-13 focused on burials in the Valley of Hinnom (probable site of this potter’s field). This valley had a notorious past as the place filled with innocent blood, for it had been the location of human sacrifices to the god Molech under some of the evil kings of Judah (2 Kings 23:10; 2 Chronicles 28:3). The Jeremiah passage includes the story of the purchase of a potter’s jar (Jeremiah 19:1), the Valley of Ben Hinnom (19:2, probably the same field bought with Judas’s money), the change of the name to “the Valley of Slaughter,” (19:6), and the breaking of the jar (19:10ff.). This imagery comes from the acted-out parable in Jeremiah 19, which could also be alluded to in Zechariah 11. In both passages, God is judging the apostates. It is characteristic of religious legalists to emphasize matters of limited importance while remaining blind to matters of great importance. So the senior leaders worried over the proper disposal of “blood money” while engaging in treachery and deceit concerning Jesus. Beware of Christians whose lists of rules include all manner of minutiae by which they judge themselves and others. Lurking in the background of those dos and don’ts is a faith more centered on self than on Christ, more worried about preserving reputation than doing evangelism, and more industrious about finding fault than showing mercy. Find another place to learn about robust faith. The region of Judea where Pilate ruled as governor was little more than a hot and dusty outpost of the Roman empire. Because Judea was so far from Rome, Pilate was given just a small army. The Roman government could not afford to put large numbers of troops in all the regions under their control, so one of Pilate’s main duties was to do whatever was necessary to maintain peace. We know from historical records that Pilate had already been warned about other uprisings in his region. Although he may have seen no guilt in Jesus and no reason to condemn him to death, Pilate wavered when the Jews in the crowd threatened to report him to Caesar (John 19:12). Such a report, accompanied by a riot, could cost him his position and hopes for advancement. Pilate became afraid. His job was in jeopardy. The last thing Pilate needed was a riot in Jerusalem at Passover time, when the city was crowded with Jews from all over the Empire. Pilate was already beginning to feel insecure in his position when the Jewish leaders brought Jesus to trial. Would he set free this innocent man at the risk of a major uproar in his region, or would he give in to their demands and condemn a man who, he was quite sure, was innocent? That was the question facing Pilate that springtime Friday morning nearly two thousand years ago. 27:11 Now Jesus stood before the governor; and the governor asked him, “Are you the King of the Jews?” Jesus said, “You say so.”NRSV The charge was treason, so Pilate asked Jesus directly if he claimed to be the King of the Jews. Jesus’ answer was basically yes but with a qualification attached. Jesus did claim to be a king—to remain silent would be like denying it (see also 26:64). But he wasn’t claiming kingship in any way that would threaten Pilate, Caesar, or the Empire. Jesus’ kingship was spiritual; a charge of treason required it to be political. The religious leaders were attempting to build a case on this political twist—their only and best chance of winning Pilate’s approval for a crucifixion. But something in Jesus’ reply alerted Pilate to the discrepancy between indictment and reality. Pilate wasn’t stupid. He could sense that the Sanhedrin’s case was embarrassingly weak. Pilate could sense that the solemn rabbi standing before him was unlikely to lead a revolt against Rome. In Jesus’ eyes, Pilate did not see the hardened glare of a Zealot. Jesus was no revolutionary. However, Pilate’s reluctance to prosecute Jesus was undoubtedly due more to his contempt for the Jews than for any particular consideration of Jesus. Jesus’ answer was not enough for Pilate to convict him, so Pilate turned back to the accusers, perhaps to test how far into ludicrous fiction they were willing to press their case. The Sanhedrin did not disappoint him. 27:12-14 But when he was accused by the chief priests and elders, he did not answer. Then Pilate said to him, “Do you not hear how many accusations they make against you?” But he gave him no answer, not even to a single charge, so that the governor was greatly amazed.NRSV The essence of these accusations by the chief priests and elders is recorded in Luke 23:1-5. The Jewish leaders had to fabricate new accusations against Jesus when they brought him before Pilate. The charge of blasphemy would mean nothing to the Roman governor, so they accused Jesus of three other crimes: (1) encouraging the people not to pay their taxes to Rome; (2) claiming he was a king—”the King of the Jews”; and (3) causing riots all over the countryside. Tax evasion, treason, and terrorism—all these would cause Pilate to be concerned. These accusations were false, but the religious leaders were determined to have Jesus killed. Pilate then turned back to the condemned man—so quiet, serene, even majestic, not at all the revolutionary to fit the crimes of which he was accused. Pilate’s low regard for the Jewish leadership sank even lower as their frenzied testimony continued. Pilate knew that the charges were preposterous, and he expected Jesus to defend himself against the false accusations. Roman law required hearing the charges against a person, and then hearing the person’s defense and eyewitness testimony. Then the judge would retire with his advisers, consider it, and render the verdict, which would be carried out immediately. Secular power understands very little of real faith, and often the least effective means of teaching is to launch into elaborate sermons with fancy rhetoric and engaging illustrations. Secular governors have heard plenty of that kind of talk. But Pilate was amazed at Jesus’ silence—his composure, confidence, and his obvious sense of surrender . . . to something. But to what? Pilate asked himself. Certainly not to the flamboyant religious leaders parading their righteous indignation before him. Certainly not to the fickle crowds who within minutes would call for the murderer Barabbas. Is there some integrity to this man’s faith? Pilate wondered. It was all quite bewildering, but most intriguing. Sometimes the best witness to people surrounded by secular power is quiet confidence in a power much higher, much greater, much deeper. They may not understand it, but they do notice. But Jesus gave him no answer. Pilate was greatly amazed that Jesus, facing the death penalty, would not defend himself because, if Jesus did not answer, Pilate would have to judge him guilty. Recognizing the obvious plot against Jesus, Pilate wanted to let him go, but he was already under pressure from Rome to keep peace in his territory. The last thing Pilate needed was a rebellion over this quiet and seemingly insignificant man. John recorded, in detail, Jesus’ final answer to Pilate regarding the nature of his messiahship (John 18:33-38). These words made Pilate realize that Jesus was innocent of any crime against Roman law. Why didn’t Jesus answer Pilate’s questions? Jesus’ silence had been prophesied in Scripture (Isaiah 53:7). It would have been futile to answer, and the time had come to give his life to save the world. Jesus had no reason to try to prolong the trial or save himself. His was the ultimate example of self-assurance and peace, which no ordinary criminal could imitate. While the Jewish leaders fumed and plotted, and Pilate wondered and thought, Jesus was in complete control. Nothing would stop Jesus from completing the work he had come to earth to do. Luke recorded a middle phase in all of this action. When Pilate found that Jesus was from Galilee, he sent him off to Herod Antipas, who was also in town for the Passover. But Herod only mocked Jesus and returned him to Pilate (Luke 23:6-12). Later, Peter commented on how Jesus had handled these injustices (see 1 Peter 2:20-23). In the custom of pardoning a criminal during Passover, Pilate saw an opportunity to avoid responsibility for the death of a man whom he perceived to be innocent. That Jesus died for Barabbas represents yet another example of the purpose of Jesus’ death: to take the place not just of one condemned man but of all who stand condemned before God’s perfect standard of justice. 27:15-16 Now it was the governor’s custom at the Feast to release a prisoner chosen by the crowd. At that time they had a notorious prisoner, called Barabbas.NIV Each year, during the Jews’ Passover festival (the Feast), Pilate had made it a custom to release any prisoner they requested (see Josephus’s Antiquities 20.9.3). Pilate may have instituted this custom to be on good terms with the people, as well as to help cover his many wrongful acts toward them. Nonetheless, it was a small act of mercy from the Roman overseer. Once a year the people had a say. The notorious prisoner currently held was Barabbas, who had taken part in a rebellion against the Roman government. Although he had been arrested with those who committed a murder (Mark 15:7), he may have been a hero among the Jews. Barabbas had been convicted of murder and was in prison awaiting execution. He had no hope of acquittal, so he must have been surprised when the guards came to get him on that Friday morning. Ironically, Barabbas was guilty of the crime of which Jesus was accused. Some early manuscripts say his name was “Jesus Barabbas,” which is quite possible because Jesus was a common name. The name “Barabbas” means “son of the father,” which was Jesus’ position with God. Thus, Pilate offered to release one of the two men called Jesus—Jesus Barabbas or Jesus “who is called Christ” (27:17). Pilate knew that Jesus (Christ) was innocent of political sedition, which was Pilate’s only interest, so he sought a way to be free of the guilt of killing an innocent man. His custom of releasing one prisoner at Passover seemed like an obvious way out. 27:17-18 Therefore, when they had gathered together, Pilate said to them, “Whom do you want me to release to you? Barabbas, or Jesus who is called Christ?” For he knew that they had handed Him over because of envy.NKJV The proceedings of this hearing by Pilate were held in public, so a crowd heard all that transpired, and this crowd probably grew larger as news spread. Perhaps this was all part of the religious leaders’ plan—to incite the crowd to ask that Pilate free a prisoner, but not Jesus. This crowd was most likely a group of people loyal to the Jewish leaders or very nationalistic and already wanting Barabbas, their hero. But where were the disciples and the crowds who days earlier had shouted, “Hosanna in the highest” (21:9)? Jesus’ sympathizers may have been afraid of the Jewish leaders and gone into hiding. Another possibility is that the multitude included many people who were in the Palm Sunday parade but who had turned against Jesus when they saw that he was not going to be an earthly conqueror or their deliverer from Rome. The Jews hated Pilate, but they went to him for the favor of condemning Jesus to crucifixion. Pilate could see that this was a frame-up. Why else would these people, who hated him and the Roman empire he represented, ask him to convict of treason and give the death penalty to one of their fellow Jews? Pilate knew that they had handed Him over because of envy. Pilate was not concerned about allegations of blasphemy against Jesus, and he hoped to show his contempt for these religious leaders by suggesting that Jesus, who is called Christ (Mark says, “king of the Jews,” Mark 15:9), be set free. Pilate’s comments were meant to mock the Jews and their beliefs. Pilate certainly thought that he would be freed of having to condemn an innocent man because the crowd would favor Jesus, a popular teacher, over a murderer. 27:19 While he was sitting on the judgment seat, his wife sent word to him, “Have nothing to do with that innocent man, for today I have suffered a great deal because of a dream about him.”NRSV This event is recorded only in Matthew. 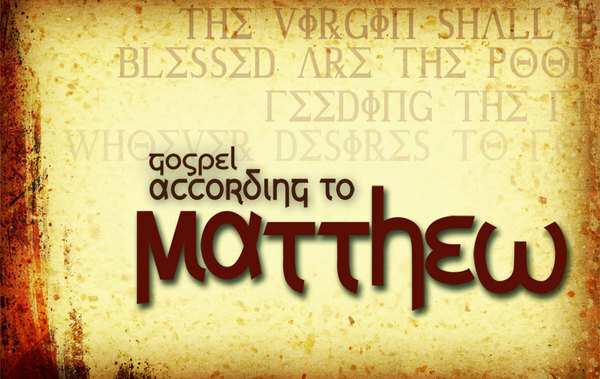 Again Matthew presented a contrast: The Jewish leaders clamored for Jesus’ death, while a Gentile woman had come to understand because of a dream that Jesus was truly innocent. People of these times placed a great deal of importance on dreams. Greeks and Romans particularly took them as oracles from the gods. God had spoken to Joseph in a dream concerning his marriage to Mary (1:20), and God had warned the wise men to return home a different way (2:12). In this case, God was sending a warning to Pilate through his wife, but he didn’t heed it. Pilate’s wife did not barge onto the scene confessing newfound faith in the accused Messiah, but she was unsettled by a dream and wanted to cut a wide path around any complicity in a plot to harm him. She was unduly troubled in ways she had never felt before. So God’s Good News—new life through Jesus the Savior— finds little crevices in the human heart, often seemingly by surprise, and works its way in. We wonder about life, and the gospel answers. We wonder about life after death, and the gospel answers again. If you are praying for a friend or acquaintance who seems quite far from faith, remember Pilate’s wife. The gospel can find a crevice where a seed can grow. Keep on praying. 27:20-21 But the chief priests and the elders persuaded the crowd to ask for Barabbas and to have Jesus executed. “Which of the two do you want me to release to you?” asked the governor. “Barabbas,” they answered.NIV Pilate would not get off that easily, however. The power of the religious leaders took precedence with the Jewish crowd, who would hardly side with the Roman governor. The chief priests and the elders went among the crowd, inciting the people to call for the release of Barabbas. Jesus may have been popular, but Barabbas’s active role in the fight against the Romans made him a hero. In addition, the Jewish leaders’ characterization of Jesus as a blasphemer would cause Jews to turn against him. The religious leaders went to great lengths in order to get rid of Jesus! All the Gospels stress that it was actually the leaders more than the people who were guilty, and the leaders incited the crowds. Faced with a clear choice, the people chose Barabbas, a revolutionary and murderer, over the Son of God. Faced with the same choice today, people are still choosing “Barabbas.” They would rather have the tangible force of human power than the salvation offered by the Son of God. 27:22-23 Pilate said to them, “What then shall I do with Jesus who is called Christ?” They all said to him, “Let Him be crucified!”NKJV The crowd called for the release of Barabbas. This left Pilate wondering what to do with Jesus. His question was filled with irony, for again he named Jesus as the one who is called Christ. It was almost as if Pilate was grating at the nerves of the religious leaders as much as possible. Perhaps Pilate hoped to let Jesus go as well, in an extra special offer at this Passover. Luke records that Pilate said, “He has done nothing to deserve death. Therefore, I will punish him and then release him” (Luke 23:15-16 niv). But the crowd had other plans: Let Him be crucified! This was a remarkable request—crucifixion was the Roman penalty for rebellion and abhorrent to the Jews. Only slaves or those who were not Roman citizens could be executed by crucifixion. So having Jesus’ death accomplished in a Roman method by Romans would put the responsibility for killing Jesus on the Romans; thus, the crowds would not blame the religious leaders. In the eyes of the Jews, that Jesus would be crucified would demonstrate that his life and message had been under God’s curse, for Deuteronomy 21:23 says, “Anyone who is hung on a tree is under God’s curse” (niv). This is just what the Jewish religious leaders wanted. If Jesus were to die, he would be crucified. He would die the death of a rebel and slave, not the death of the king he claimed to be. While the Crucifixion was meant to brand Jesus as cursed by God, for Christians, the Crucifixion pictures Jesus indeed taking God’s curse against sin upon himself and allowing his people to be set free from sin. Then the governor said, “Why, what evil has He done?” But they cried out all the more, saying, “Let Him be crucified!”NKJV Pilate was losing ground; the huge crowd in the courtyard before him seemed to be on the verge of a riot. Pilate asked the people to specify some crime that would make Jesus worthy of death: What evil has He done? he asked. The accusations against Jesus were flimsy, but the crowd kept on shouting more wildly and loudly that they wanted Jesus crucified. 27:24 So when Pilate saw that he could do nothing, but rather that a riot was beginning, he took some water and washed his hands before the crowd, saying, “I am innocent of this man’s blood; see to it yourselves.”NRSV This handwashing, performed as a gesture of innocence to show that one had nothing to do with a murder, was a Jewish custom, not a Roman one (Deuteronomy 21:6-9). So Pilate may have done this to show his utter contempt for the Jews and their demand for Jesus’ crucifixion. In trying to excuse himself and place the responsibility for an innocent man’s death on them, he followed the path already taken by the religious leaders as they dealt with Judas in 27:4, saying, “That’s your responsibility.” In making no decision, Pilate made the decision to let the crowds crucify Jesus. Although he washed his hands, the guilt remained. For Pilate, there was never a doubt about Jesus’ innocence. Three separate times he declared Jesus not guilty. He couldn’t understand what made these people want to kill Jesus, but his fear of the pressure the Jews would place on him made him decide to allow the crucifixion. Because of the threat to tell the emperor that Pilate hadn’t eliminated a rebel against Rome, he went against what he knew was right. In desperation, he chose to do wrong. We share a common humanity with Pilate. At times we know the right and choose the wrong. He had his moment in history, and now we have ours. What have you done with your opportunities and responsibilities? 27:25-26 Then the people as a whole answered, “His blood be on us and on our children!”NRSV The phrase “his blood be on us and on our children” was an Old Testament idiom (see 2 Samuel 1:16; 3:28). It meant that the people as a whole (the entire crowd, not just the leaders) willingly took responsibility for Jesus’ death. This verse has been misused down through history to label the Jews as “Christ-killers,” but this crowd had no authority to pledge the nation in responsibility for Jesus’ death. It was merely the attempt of an unruly mob to persuade Pilate to do what it wanted. Similarly Pilate, by handing Jesus over, was just as guilty as anyone. The early church may well have seen this crowd’s words fulfilled in the destruction of Jerusalem in a.d. 70. 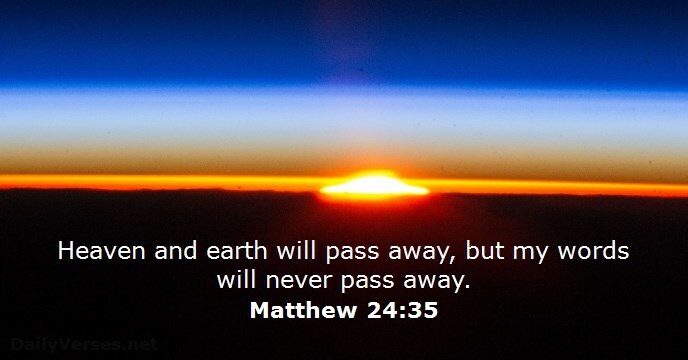 While Matthew may have pictured “the people as a whole” as all the Jews of the nation rejecting their Messiah, he also knew that, as with the Old Testament prophecies, a faithful few always remained. The first disciples, and indeed the first believers in the early church, were Jews who became Christians. Yet this rejection, and acceptance of the guilt of Jesus’ death, signaled the end of the privileged status of the Jewish nation (see 21:43). So he released Barabbas for them; and after flogging Jesus, he handed him over to be crucified.NRSV Pilate desired only to satisfy the crowd, so he rationalized in order to salve his conscience. For a leader who was supposed to administer justice, Pilate proved to be more concerned about political expediency than about doing what was right. He had several opportunities to make the right decision. His conscience told him that Jesus was innocent; Roman law said that an innocent man should not be put to death; Pilate’s wife had warned him about Jesus (27:19). He even tried several times to let Jesus go: He sent him to Herod (Luke 23:6-12); suggested that Jesus be the one prisoner set free on Passover (27:17); proposed giving Jesus a good whipping to teach him a lesson and then letting him go (Luke 23:16); tried to give the case back to the Jewish leaders (John 19:6); continued to try to set Jesus free (John 19:12); and then washed his hands of any guilt (27:24). Pilate had no good excuse to condemn Jesus, but he was afraid of the crowd. So he released Barabbas and then flogged Jesus. The flogging that Jesus received was part of the Roman legal code, which demanded that flogging (also called “scourging”) precede capital punishment. The Romans did it to weaken the prisoner so that he would die more quickly on the cross, although the agony of the scourging was horrible in itself. The usual procedure was to bare the upper half of the victim’s body and tie the hands to a pillar before whipping the victim with a three-pronged whip. The whip was made of leather thongs that connected pieces of bone and metal like a chain. The continued lashing with these sharp instruments tore at the victim’s skin, even baring the bones. The number of lashes was determined by the severity of the crime; up to forty were permitted under Jewish law, but Roman law had no regulations regarding the number of blows a prisoner could receive. After the flogging, Pilate handed Jesus over to be crucified (see Isaiah 53:6-12). 27:27-30 Then the governor’s soldiers took Jesus into the Praetorium and gathered the whole company of soldiers around him. They stripped him and put a scarlet robe on him, and then twisted together a crown of thorns and set it on his head. They put a staff in his right hand and knelt in front of him and mocked him. “Hail, king of the Jews!” they said. They spit on him, and took the staff and struck him on the head again and again.NIV Only the Romans were allowed to carry out execution, so the Roman soldiers took him from the post where he had been flogged and led him, beaten and bleeding, back inside the Praetorium (Pilate’s headquarters). The whole company of soldiers was called together. This “company” was probably about two hundred men who had accompanied Pilate from Caesarea. This whole event was a shameful mockery of Jesus by means of a cruel game. Someone found a purple cloak, probably one of the scarlet cloaks worn by the soldiers, and threw it around the shoulders of this supposed “king,” pretending that it was a royal color. Someone else, with a brutal sense of humor, twisted some thorns into a crown that was then jammed onto Jesus’ head. The purpose of the crown was more for mockery than for pain; the long thorns may have been turned outward rather than inward, to imitate the crowns of the Eastern rulers with rays like the sun going outwards from their heads. Their words Hail, king of the Jews, may have been a deliberate mockery of the greeting for the emperor, “Ave, Caesar.” They put a staff in his right hand, like a king’s scepter. Then they pretended to honor this king of the Jews by kneeling down in mock worship. They spit on him, and took the staff and struck him on the head again and again. Such mockery of condemned prisoners was a common practice (see 26:67-68). All of this had been prophesied. Isaiah had written, “I offered my back to those who beat me, my cheeks to those who pulled out my beard; I did not hide my face from mocking and spitting” (Isaiah 50:6 niv; see also 52:14-53:6). 27:31 After mocking him, they stripped him of the robe and put his own clothes on him.NRSV After having their fun, the soldiers took off the cloak and put Jesus’ clothes back on him. This was unusual, for a prisoner normally went naked to the place of execution, with continued scourging along the route. Perhaps the Romans did not want to offend the city overflowing with Jews by taking this Jewish rabbi naked through the city. They did no further flogging either; probably because to do so would have killed Jesus. Then they led him away to crucify him.NRSV Probably only four soldiers under the command of a centurion (Mark 15:39) actually went out to the site to perform the execution, because John mentions that the soldiers at the cross divided his clothing into four piles, “one for each of them” (John 19:23 niv). In being led out to be crucified, condemned prisoners (who had already been flogged) carried the crossbeam of their own cross. This crossbeam weighed about one hundred pounds and was carried across the shoulders. Carrying the crossbeam was intended to break the prisoner’s will to live. It said to the prisoner, “You are already dead.” Like flogging, this act caused the prisoner to die more quickly. The heavy crossbeam was placed on Jesus’ already bleeding shoulders (John 19:17), and he began the long walk out of Jerusalem. Usually execution sites were outside of the city. 27:32 As they were going out, they met a man from Cyrene, named Simon, and they forced him to carry the cross.NIV Colonies of Jews existed outside Judea. Simon was from Cyrene, in northern Africa (see Acts 2:10), and was either on a pilgrimage to Jerusalem for the Passover, or he was originally from Cyrene but resided in Palestine. Mark records this incident, adding that Simon was “the father of Alexander and Rufus” (Mark 15:21), as if Mark’s readers knew them. Rufus may be the same man mentioned by Paul in Romans 16:13 (see also Acts 19:33). If so, this could mean that Simon became a believer through this incident. Jesus started to carry his cross, but, weakened from the beatings he had received, he was physically unable to carry it all the way to the execution site. Roman soldiers had the power to enforce people to do tasks for them (see 5:41); so Simon, on his way into the city, was picked out of the crowd by the soldiers to carry Jesus’ cross. 27:33-34 And when they came to a place called Golgotha (which means Place of a Skull), they offered him wine to drink, mixed with gall; but when he tasted it, he would not drink it.NRSV Golgotha is the Hebrew word for “skull.” The familiar name “Calvary” is derived from the Latin calvaria (also meaning “skull”). Thus, it became known as Place of a Skull, although some say its name was derived from its appearance, a hill with a stony top that may have looked like a skull. Golgotha may have been a regular place of execution. It was prominent, public, and outside the city along a main road. Executions held there served as examples to the people and as a deterrent to criminals. The drink offered to Jesus was wine . . . mixed with gall. Tradition says women of Jerusalem would prepare and offer this drink to condemned men (see Proverbs 31:6-7). Here the drink was offered to Jesus by soldiers. Mark’s Gospel says the wine was mixed with myrrh (Mark 15:23). Any attempts to resolve the differences are largely speculative, but some plausible explanations may be given. First, was the wine given as a narcotic or to further torment Jesus? Myrrh was put in the wine given to those being executed to strengthen its pain-killing relief (although a small drink would do little to ease pain). The women of Jerusalem most likely supplied the wine, but the soldiers used it in a further attempt to humiliate Jesus. Second, why does Matthew say “gall” when Mark says “myrrh”? Either the soldiers added gall to make the drink bitter, or Matthew used “gall” in a figurative sense to connect with Psalm 69:21, “they . . . gave me vinegar for my thirst” (niv). But Jesus refused to drink it. He would suffer fully conscious and with a clear mind. The Roman soldiers took Jesus into the Praetorium and mocked him, dressing him in a scarlet robe and a crown of thorns. They then led him to the crucifixion site outside the city. He was so weakened by his beatings that he could not carry his cross, and a man from Cyrene was forced to carry it to Golgotha. Jesus refused the anesthetic. There was wine in it, and he had told his disciples that the next time he tasted wine would be with them, when all of God’s plan was fulfilled. He refused the anesthetic for you. When the Lord Jesus lifts his chalice at that future celebration and toasts the victory of God, remember that he took the pain for you. When your own pain becomes more than you want to bear, think about the festive day to come when pain’s day is past and Jesus’ promises are right there, right then. Today’s pain is bearable in view of that “not yet” drink shared with Jesus—first tastes of heavenly wonder. 27:35-36 Then they crucified Him, and divided His garments, casting lots, that it might be fulfilled which was spoken by the prophet: “They divided My garments among them, and for My clothing they cast lots.” Sitting down, they kept watch over Him there.NKJV The words are simple and direct, then they crucified Him. Indeed, the readers needed no elaborate description; they knew all too well what crucifixion entailed. Crucifixion, instituted by the Romans, was a feared and shameful form of execution. The victim was forced to carry his cross along the longest possible route to the crucifixion site as a warning to bystanders. There were several shapes for crosses and several different methods of crucifixion. Jesus was nailed to the cross; condemned men were sometimes tied to their cross with ropes. In both cases, death came by suffocation as the person would lose strength and the weight of the body would make breathing more and more difficult. Contrary to the discreet paintings of the Crucifixion, Jesus was crucified naked. Roman soldiers had the right to take for themselves the clothing of those crucified, so they divided Jesus’ clothes among themselves. John records that four soldiers divided the garments (John 19:23). The clothes were meager, however, so they made a game out of casting lots to see who got what. Casting lots was a way of making a decision by chance, like throwing dice or drawing straws. This act had also been prophesied: “They divide my garments among them and cast lots for my clothing” (Psalm 22:18 niv). The words “sitting down, they kept watch over Him there,” found only in Matthew, simply describe the vigilance of the guards. Matthew may have mentioned this to counter the charge that Jesus had been taken from the cross before he was actually dead. 27:37 Above his head they placed the written charge against him: this is jesus, the king of the jews.NIV A written charge, or sign, stating the condemned man’s crime would be placed on his cross as a warning. Pilate wrote this notice in three languages (Aramaic, Latin, and Greek, see John 19:20) so that anyone going to and from the city would be able to read it. Because Jesus was never found guilty, the only accusation placed on his sign was the “crime” of calling himself king of the Jews. This sign was meant to be ironic. A king, stripped and executed in public view, had obviously lost his kingdom forever. Surely Pilate hoped that this would be a warning to anyone attempting to rise up against Rome (John 19:21-22). The sign was probably also Pilate’s way of showing how much he despised the Jewish religious leaders. But Jesus, who turns the world’s wisdom upside down, was just coming into his kingdom. His death and resurrection would strike the deathblow to Satan’s rule and would establish Christ’s eternal authority over the earth. Few people reading the sign that bleak day understood its real meaning, but the sign was absolutely true. The plaque, as an unconscious testimony of Jesus’ kingly identity, turns Jesus’ cross into a throne. All was not lost. Jesus is King of the Jews—and the Gentiles, and the whole universe. 27:38 Two robbers were crucified with him, one on his right and one on his left.NIV When James and John had asked Jesus for the places of honor next to him in his kingdom, Jesus had told them that they didn’t know what they were asking (20:20-22). Here, as Jesus was preparing to inaugurate his kingdom through his death, the places on his right and on his left were taken by robbers (also alluding to Isaiah 53:12). The robbers were probably also insurrectionists, like Barabbas, for the same word is used of Barabbas in John 18:40 (thus this was the fate from which Barabbas had been rescued!). The ancient Jewish historian Josephus often referred to Jewish rebels or revolutionaries as robbers or bandits. Luke recorded that one of these robbers repented before his death and that Jesus promised this robber that he would be with him in paradise (Luke 23:39-43). As Jesus had explained to his position-conscious disciples, a person who wants to be close to Jesus must be prepared to suffer and die as he himself was doing. The way to the kingdom is the way of the Cross. If we want the glory of the kingdom, we must be willing to be united with the crucified Christ by believing in him and becoming his followers. 27:39-40 Those who passed by derided him, shaking their heads and saying, “You who would destroy the temple and build it in three days, save yourself! If you are the Son of God, come down from the cross.”NRSV Insult was literally added to injury when it came to public crucifixion. The people passing by derided Jesus, shaking their heads (a gesture of derision). These people had been witnesses to the Sanhedrin trial or had heard a report of it (26:61). They taunted Jesus that if he could boast of building the temple in three days, surely he had the power to save himself from the fate of the cross. What Jesus had actually said was, “Destroy this temple, and in three days I will raise it up” (John 2:19 nkjv). Ironically, Jesus was in the very process of fulfilling his own prophecy. His body was being destroyed, but in three days he would rise again. Because Jesus was the Son of God who always obeyed the will of the Father, he did not come down from the cross to save himself. If he had done so, he could not have saved us. Their words “if you are the Son of God” recall Satan’s temptations (see 4:3, 6), revealing that Satan was still at work attempting to get Jesus to give in to the suffering and fail to accomplish God’s will. This incident recalls Psalm 22:7, “All who see me mock me; they hurl insults, shaking their heads” (niv). 27:41-43 In the same way the chief priests, the teachers of the law and the elders mocked him. “He saved others,” they said, “but he can’t save himself! He’s the King of Israel! Let him come down now from the cross, and we will believe in him. He trusts in God. Let God rescue him now if he wants him, for he said, ‘I am the Son of God. '”NIV Apparently the chief priests, teachers of the law (scribes), and the elders (in fact, most of the esteemed Sanhedrin) had followed the executioners out to Golgotha, eager to see their evil plot finally completed in Jesus’ death. Not content to have brought him to an unjust death, they also mocked him in their conversation among themselves—certainly spoken loudly enough for him and others to hear. “Saving others” probably referred to his healing ministry. They dismissed his healings and miracles (he saved others) because even though he could save others, he couldn’t save himself. Of course, the reader who recognizes Jesus as the Savior of the world knows how ironic this statement is. The religious leaders had twice before asked Jesus to give them a miraculous sign so that they would believe in him, but Jesus had refused (12:38; 16:1). They did not believe that Jesus was the King of Israel, but they taunted him with this name. “Give us a sign,” they were saying, “come down now from the cross, and we will believe.” Their words echo Psalm 22:8. But Jesus would not renounce his God-appointed path. The lesson for all believers is that faith cannot be based on visible demonstrations of power; instead, faith is belief in things not seen (Hebrews 11:1). Note that Jesus’ words “I am the Son of God” show that Jesus had claimed divinity. No one can say that Jesus never claimed to be God, for even his enemies acknowledged this claim. 27:44 In the same way the robbers who were crucified with him also heaped insults on him.NIV Matthew, like Mark, recorded that the robbers also taunted Jesus; but Luke states that later one of these robbers repented. Jesus promised that the repentant robber would join him in paradise (Luke 23:39-43). 27:45 From noon on, darkness came over the whole land until three in the afternoon.NRSV Jesus had been put on the cross at nine o’clock in the morning. Death by crucifixion was slow and excruciating, sometimes taking two or three days. Three hours passed while Jesus put up with abuse from bystanders. Then, at noon, darkness settled over the land for three hours. We do not know how this darkness occurred, but it is clear that God caused it (Matthew, Mark, and Luke all mention this). Some have suggested an eclipse occurred, but Passover was held at a full moon, a time when an eclipse is not possible. Along with the earthquake in 27:51, it could have been a natural event with supernatural timing. Nature testified to the gravity of Jesus’ death, while Jesus’ friends and enemies alike fell silent in the encircling gloom. The darkness on that Friday afternoon was both physical and spiritual. All nature seemed to mourn over the stark tragedy of the death of God’s Son. Some see a fulfillment of Amos 8:9, where the darkness was a sign of God’s judgment: “‘In that day,’ declares the Sovereign Lord, ‘I will make the sun go down at noon and darken the earth in broad daylight'” (niv). See also Exodus 10:21-22. 27:46-47 And about three o’clock Jesus cried with a loud voice, “Eli, Eli, lema sabachthani?” that is, “My God, my God, why have you forsaken me?” When some of the bystanders heard it, they said, “This man is calling for Elijah.”NRSV Jesus did not ask this question in surprise or despair. He was quoting the first line of Psalm 22. The context of this psalm indicates that this was a prayer of expectation for deliverance, not a cry of abandonment. Nonetheless, the whole psalm is a prophecy expressing the deep agony of the Messiah’s death for the world’s sin. Jesus knew that he would be temporarily separated from God the moment he took upon himself the sins of the world because God cannot look on sin (Habakkuk 1:13). This separation was the “cup” Jesus had dreaded as he prayed in Gethsemane (26:39). The physical agony was horrible, but the spiritual alienation from God was the ultimate torture. Jesus suffered this double death so that we would never have to experience eternal separation from God. The bystanders misinterpreted Jesus’ words and thought he was calling for Elijah. Because Elijah had ascended into heaven without dying (2 Kings 2:11), a popular belief held that Elijah would return to rescue those suffering from great trouble (Malachi 4:5). He was associated with the final appearance of God’s kingdom. For example, at their annual Passover feast, each Jewish family would set an extra place for Elijah in expectation of his return. 27:48-49 At once one of them ran and got a sponge, filled it with sour wine, put it on a stick, and gave it to him to drink. But the others said, “Wait, let us see whether Elijah will come to save him.”NRSV John records that Jesus said he was thirsty (John 19:28-29). In response, one man soaked a sponge with sour wine. This was not the same as the drugged wine offered to Jesus earlier, but a thirst quencher that was there, probably for the soldiers to drink. This man, either in an act of kindness or further mockery, put the sponge on a long stick and held it up in order to reach Jesus’ lips (again fulfilling prophecy, Psalm 69:21). The crowd, however, resuming its taunting, thought Jesus had called for Elijah (27:47), and said not to give Jesus any relief for his thirst, but instead to wait and see if Elijah would come to rescue him. 27:50-51 And when Jesus had cried out again in a loud voice, he gave up his spirit.NIV Jesus’ loud cry may have been his last words, “It is finished!” (John 19:30). This cry climaxed the horror of the scene and showed his sudden death after over six hours on the cross. Jesus did not die the normal death of a crucified person who would merely breathe his last breath. Usually crucifixion caused a person to lapse into a coma from extreme exhaustion. Jesus, however, was completely conscious to the end. He gave up his spirit—he was in complete control. His cry in a loud voice exclaimed that his work was completed. At that moment the curtain of the temple was torn in two from top to bottom. The earth shook and the rocks split.NIV These significant events symbolized what Christ’s work on the cross had accomplished. The temple had three main parts—the courts, the holy place (where only the priests could enter), and the most holy place, reserved by God for himself. It was in the most holy place that the ark of the covenant rested. The room was entered only once a year, on the Day of Atonement, by the high priest as he made a sacrifice to gain forgiveness for the sins of all the nation (Leviticus 16:1-34). The curtain of the temple may have been the outer curtain hanging between the court with the altar for burnt offerings and the actual sanctuary (Exodus 26:37; 38:18), or it may have been the curtain hanging between the two areas of the sanctuary—that is, between the holy place and the most holy place (also called the Holy of Holies, see Exodus 26:31-35; Leviticus 16:2, 12-15). Most likely, the curtain that was torn was between the holy place and the most holy place. Symbolically, that curtain separated the holy God from sinful people. By tearing the curtain in two from top to bottom, God showed that Jesus had opened the way for sinful people to reach a holy God. Some think the tearing of the curtain was merely a foreshadowing of the destruction of Jerusalem and represented the Son of Man’s judgment on unbelieving Israel. The New Testament stress, however, is that the torn curtain represents our free access to God and that barriers between God and people have been broken (see Hebrews 10:19-22). The fact that it was torn from top to bottom reveals a total break, a complete change in God’s covenant by Moses with the people. Now Jesus is the new temple, and a new age in the history of salvation has begun. Christ’s death was accompanied by at least four miraculous events: early darkness (27:45), the tearing in two of the curtain in the temple, a timely earthquake (the earth shook and the rocks split), and dead people rising from their tombs (27:52). Jesus’ death, therefore, could not have gone unnoticed. Everyone knew that something significant had happened. The curtain splitting in two must have devastated the priests who were undoubtedly working in the temple during this busy Passover week. 27:54 Now when the centurion and those with him, who were keeping watch over Jesus, saw the earthquake and what took place, they were terrified and said, “Truly this man was God’s Son!”NRSV A centurion (a person of rank in the Roman guard) had accompanied the soldiers to the execution site. He probably had done this many times. Yet this crucifixion was completely different—the unexplained darkness, the earthquake, even the executed himself who had uttered the words “Father, forgive them, for they do not know what they are doing” (Luke 23:34 niv). The centurion and those with him observed that Jesus died while he was alert, and they noticed that he died more quickly than most prisoners who generally lapsed into a coma before they died. These Gentiles realized something that most of the Jewish nation had missed: Truly this man was God’s Son! Whether they understood what they were saying, we cannot know. They may simply have admired Jesus’ courage and inner strength, perhaps thinking that he was divine, like one of Rome’s many gods. They were terrified because of the other events (darkness and earthquake) that had surrounded this particular crucifixion, which they attributed to the wrath of God (or a god). They certainly recognized Jesus’ innocence. While the Jewish religious leaders were celebrating Jesus’ death, a small group of Gentiles were the first to proclaim Jesus as the Son of God after his death. This points forward to the coming days of the evangelism and missionary effort in the church, when God would draw people from all nations. The centurion was right to be afraid. Fear can be the first step toward faith. Perhaps later he found some disciples who could explain to him that Jesus really was the Son of God. Today, people who become afraid like the centurion are often referred to a counselor for psychological help. But it’s not just a mind problem here. It’s a soul problem—a faith problem. If and when the centurion turned to Christ as Savior, faith took the place of fear in his heart. That’s the real antidote to fear: faith in Jesus. Our fears about death, suffering, loss, tragedy, illness, and even about tough decisions have one important starting point if we hope to overcome them: Jesus. Let faith in him displace any fear you may have. 27:55-56 Many women were also there, looking on from a distance; they had followed Jesus from Galilee and had provided for him. Among them were Mary Magdalene, and Mary the mother of James and Joseph, and the mother of the sons of Zebedee.NRSV There had been many people at the cross who had come only to mock and taunt Jesus or, like the religious leaders, to revel in their apparent victory. Some of Jesus’ faithful followers were at the cross as well. Among the disciples, only John was there, and he recorded in his Gospel in graphic detail the horror he observed. Many women were also there, looking on from a distance, perhaps out of custom or out of respect for the victims. Some of these women had come from Galilee with Jesus for the Passover. Mary Magdalene was from Magdala, a town near Capernaum in Galilee. She had been released from demon possession by Jesus (Luke 8:2). Another Mary is distinguished (from Mary Magdalene and Mary, Jesus’ mother) by the names of her sons who may have been well known in the early church. The mother of the sons of Zebedee was the mother of the disciples James and John. Her name was Salome (20:20-21), and she was probably the sister of Jesus’ mother. These women had been faithful to Jesus’ ministry, following him and providing for his material needs (see Luke 8:1-3). John wrote that Jesus’ mother, Mary, was present and that, from the cross, Jesus spoke to John about taking care of Mary (John 19:25-27). These women could do very little. They couldn’t speak before the Sanhedrin in Jesus’ defense; they couldn’t appeal to Pilate; they couldn’t stand against the crowds; they couldn’t overpower the Roman guards. But they did what they could. They stayed at the cross when the disciples had not even come; they followed Jesus’ body to the tomb; they prepared spices for his body. Because these women used the opportunities they had, they were the first to witness the Resurrection. God blessed their devotion, initiative, and diligence. As believers, we should take advantage of the opportunities we have and do what we can for Christ. 27:57-58 As evening approached, there came a rich man from Arimathea, named Joseph, who had himself become a disciple of Jesus. Going to Pilate, he asked for Jesus’ body, and Pilate ordered that it be given to him.NIV The Sabbath began at sundown on Friday and ended at sundown on Saturday. Jesus died just a few hours before sundown on Friday (at about three o’clock, 27:46). It was against Jewish law to do physical work or to travel on the Sabbath. It was also against Jewish law to let a dead body remain exposed overnight (Deuteronomy 21:23). So as evening approached, Joseph of Arimathea asked for Jesus’ body so he could give it a proper burial. Arimathea was a town about twenty-two miles northwest of Jerusalem. This town was the birthplace of Samuel, and its older name was Ramathaim (1 Samuel 1:1). Although an honored member of the Sanhedrin (Mark 15:43), Joseph had himself become a disciple of Jesus. Thus, not all the Jewish leaders hated Jesus. In the past, Joseph had been reluctant to speak against the religious leaders who had opposed Jesus (John 19:38); at this time he went boldly to Pilate, asking to take Jesus’ body from the cross and to bury it. Perhaps Joseph, too, had been at the cross and had seen Jesus die. Obviously knowing the law that dead bodies should have a proper burial, he went directly to Pilate who alone could give permission to take down the body, and Pilate ordered that it be given to him. If Jesus had died on the Sabbath when Joseph was unavailable, his body would have been taken down by the Romans. An executed man lost all dignity—it was common to simply leave the body to rot away and then throw the remains into a common grave. Had the Romans taken Jesus’ body, no Jews could have confirmed his death, and opponents could have disputed his resurrection. 27:59-60 So Joseph took the body and wrapped it in a clean linen cloth and laid it in his own new tomb, which he had hewn in the rock. He then rolled a great stone to the door of the tomb and went away.NRSV As evening and the Sabbath approached, Joseph had to hurry. Fortunately he had help. John wrote that Nicodemus, another member of the Sanhedrin, brought spices in which to wrap Jesus’ body (John 3:1; 19:38-42). Joseph brought a clean linen cloth. The body was carefully taken down from the cross, washed, wrapped in layers of cloth with the spices in between, and laid in a tomb. Jesus was given a burial fit for a king. This new tomb was “new” in the sense that it was unused (some tombs were large enough to hold several bodies). It had been hewn in the rock, so it was a man-made cave cut out of one of the many limestone hills in the area around Jerusalem. It was large enough to walk into (John 20:6). Matthew alone mentioned that Joseph was rich (27:57), and in placing Jesus in the tomb Joseph owned, Joseph fulfilled Isaiah 53:9, “He was assigned a grave . . . with the rich in his death” (niv). Joseph and Nicodemus placed Jesus’ body in the tomb and rolled a great stone across the entrance. A wealthy person’s tomb would often have a groove sloping down into the doorway, and a stone slab a yard in diameter would be rolled into it. The stone would be easy to roll in, but it would take several men to roll it up the slope to open the tomb. 27:61 And Mary Magdalene was there, and the other Mary, sitting opposite the tomb.NKJV Two of the women who had been at the cross (27:56) followed Joseph and Nicodemus as they carried Jesus’ body to the tomb. No mourning was permitted for those executed under Roman law, so they followed in silent grief. They wanted to know where the body would be laid because they planned to return after the Sabbath with their own spices to anoint Jesus’ body (28:1). Although the Jews placed little value on the testimony of women, these women actually saw Jesus’ body be buried and were the first to witness the Resurrection. They then brought the news to the disciples (28:8). Joseph appears in this brief scene, doing what he can for the Savior. At some risk to his prestige and status, he cares for Jesus’ body. Looking on silently and sadly are the two Marys, doing what they can, too. Sometimes our roles in God’s kingdom are not dramatic and do not lead to headlines or interviews. Sometimes the work we do for God seems fairly routine. Sometimes it’s just “being there,” as when we wait with friends in a hospital or help in a slow recovery from grief or tragedy. Do all you can, headlines or not. Give all you can, for Jesus’ sake. Be all you can, in Jesus’ strength. That’s what we learn from these three faithful people at the tomb. 27:62-64 The next day, the one after Preparation Day, the chief priests and the Pharisees went to Pilate. “Sir,” they said, “we remember that while he was still alive that deceiver said, ‘After three days I will rise again. '”NIV Preparation Day was the day before the Sabbath, a day to prepare for the Sabbath because no work was allowed from sunset on Friday to sunset on Saturday. That the Pharisees went to Pilate on the day after Preparation Day means that they went on the Sabbath—a clear violation of their own laws. But they were in such a hurry to make sure that Pilate had secured the tomb, that they willingly broke their own laws. Apparently, these religious leaders also knew where Jesus was buried. Jesus may have died, but they remembered that he had said after three days I will rise again. Jesus had only spoken these words to his disciples (16:21; 17:9; 20:19), so Judas may have given them this information. So the chief priest and the Pharisees once again made their way to Pilate’s doorstep with a request: “Therefore command the tomb to be made secure until the third day; otherwise his disciples may go and steal him away, and tell the people, ‘He has been raised from the dead,’ and the last deception would be worse than the first.”NRSV Whereas the disciples in their despair had probably forgotten about Jesus’ promise of resurrection, the leaders hadn’t forgotten. Nonetheless, the religious leaders did not believe Jesus’ claims, but they were afraid of fraud—after all, the body had been taken down by two followers of Jesus. The Pharisees wanted Pilate to seal the stone to make sure that no one would steal Jesus’ body and claim he had risen from the dead. They tried to take every precaution that his body would remain in the tomb. The first deception they referred to was Jesus’ claim to be the Messiah; the last deception would be a falsified claim to rising from the dead that would be used to support the first. The Jewish leaders did not want to have to answer to the people about such a turn of events. 27:65-66 “Take a guard,” Pilate answered. “Go, make the tomb as secure as you know how.” So they went and made the tomb secure by putting a seal on the stone and posting the guard.NIV The Pharisees were so afraid of Jesus’ predictions about his resurrection that they made sure the tomb was thoroughly sealed and guarded. They were not trying to keep Jesus’ body in (they didn’t believe he would come back to life), but they wanted to keep anyone else out so that no one could remove the body and claim that Jesus had risen. Because the tomb had been hewn out of rock in the side of a hill, there was only one entrance. The tomb was made secure by stringing a cord across the stone that was rolled over the entrance. The cord was sealed at each end with clay. Pilate gave them permission to post a guard at the tomb as a further precaution. These may have been some Roman soldiers or the temple police who were at the Jewish leaders’ disposal (see John 18:3). With such precautions, the only way the tomb could be empty would be for Jesus to rise from the dead. The Pharisees failed to understand that no rock, seal, guard, or army could keep them secure, nor could any power prevent the Son of God from rising again. This entry was posted in Matthew and tagged crucifixion, Jesus, Matthew 27. Bookmark the permalink.